Fall head over heels all over again with these partner-perfect experiences. It may be a cliché, but sailing away into the sunset with one’s true love is still at the top of many a bucket-list. Especially somewhere as beautiful as Hawai‘i’s Nā Pali Coast, located on the north shore of Kaua‘i. This natural wonderland is a unique landscape of rugged terrain and sheer cliffs that drop straight into the aqua-blue water of the Pacific Ocean. It’s pretty remote, so if you want to discover it you need to hike the 18-kilometre trail or – more pleasantly – hop on a cruise (champagne and loved one in hand). There are several operating in the area, particularly at sunset, when the afternoon light plays off the turquoise waters. A journey by train is surely one of the most evocative forms of travel, and Africa’s Rovos Rail exudes the luxury and charm of a bygone era. Its fleet of trains carry an intimate 72 guests and boast wood-panelled, Edwardian-style carriages with spacious suites (plus comfortable double beds) and elegant lounge and observation cars. The food is impeccable and impeccably served on fine china, silver and crisp white linen (read: dress to the nines for dinner). But the best bit is the view as you head through South Africa, Botswana, Namibia, Zimbabwe, Zambia and Tanzania – the scenery is constantly evolving and endlessly breathtaking. The best way to escape the maddening crowds at the temples of Cambodia’s national treasure Angkor and have a quiet moment to yourself is by floating serenely above it all in your own love nest…or hot air balloon. It’s incredible to see the vastness of the Angkor complex from an aerial perspective, its hundreds of temples spread over some 400 square-kilometres. Sunrise is our favourite time of day for this amazing experience – the orange glow of the sun breaking on the horizon at the crack of dawn signifying the final moments of quiet before Siem Reap awakens and is alive and bustling again. 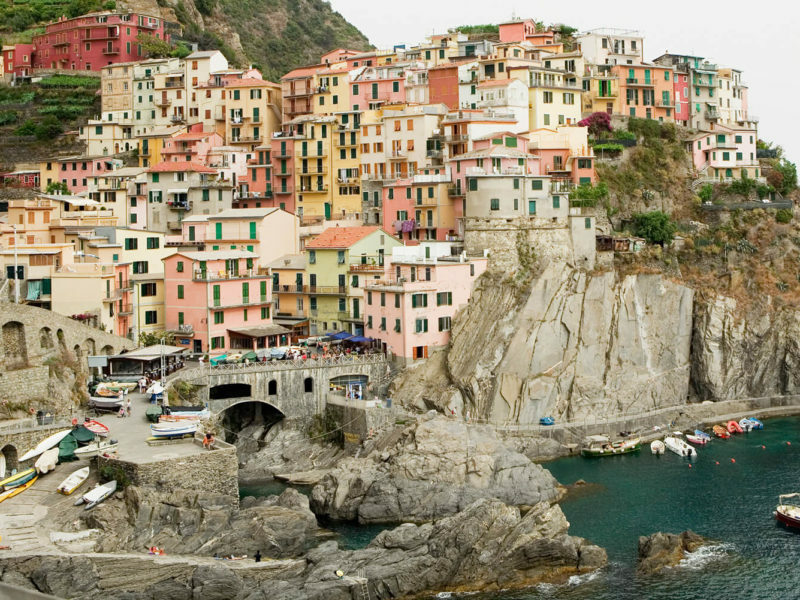 The Cinque Terre is one of the world’s most dramatic coastlines, consisting of five medieval-era fishing villages built into steep cliffs. Until the end of the 19th century, when a railway was eventually built, the towns were extremely isolated from each other. 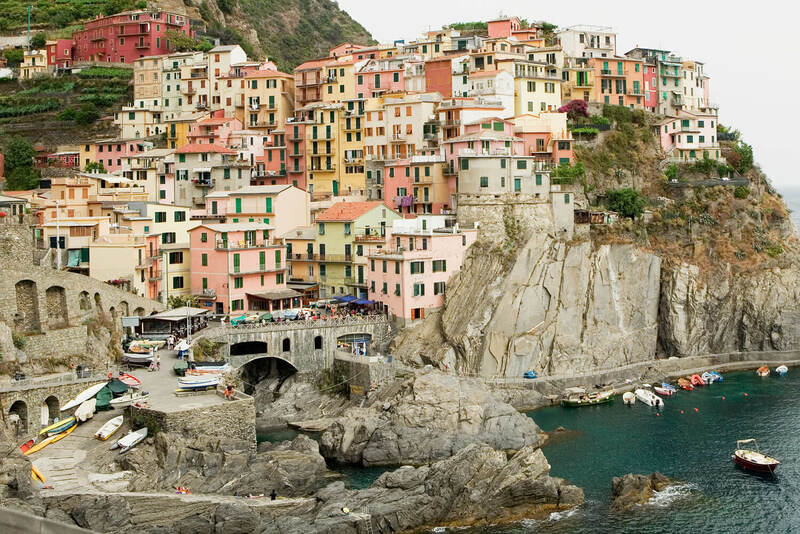 A pathway between Riomaggiore and Manarola was built for the use of railway workers during construction of the tunnel, which became a meeting point for lovers from the two towns. The pathway was coined the Via dell’Amore – the ‘Path of Love’. Visitors can walk the route as part of the spectacular 12-kilometre clifftop journey between the five pretty villages. This has to be the ultimate spot for cheeky love birds. Turtle Island’s 500-acre privately owned island was the idyllic location for the 1980 film The Blue Lagoon and is one of Fiji’s most beautiful resorts. It accommodates just 14 couples in its exotic bures (AKA love shacks), each with its own private white, powdery beach with impossibly blue water. Beach picnics of champagne and lobster, long private walks, and snorkelling excursions (there’s an abundant of colourful sea life) can all be arranged. The ultimate romantic stay is in the Vonu Point villa, with panoramic views of the island’s pristine landscape.